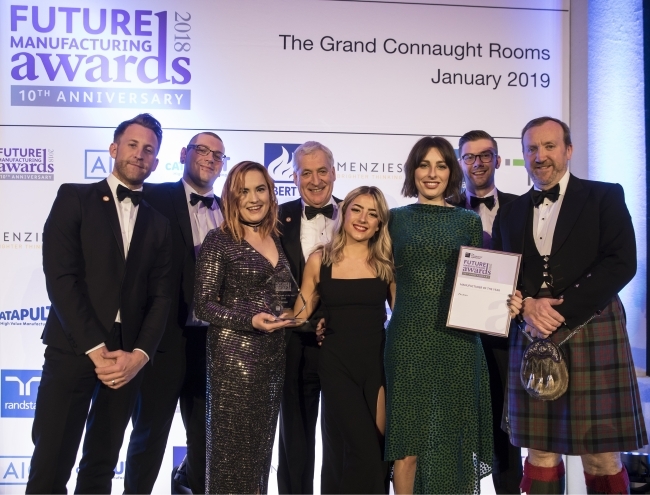 Leading manufacturers and talented apprentices from across the UK were recognised as national manufacturing champions at the EEF Future Manufacturing Awards held at the end of January. The biggest winner on the night was Paxman, winning the Manufacturer of the Year award – a title awarded to the most outstanding company amongst all the category winners. The firm, a Huddersfield-based manufacturer of scalp cooling systems, used to reduce chemotherapy-induced hair loss received recognition in the Innovation Award. Judges were impressed with different business models that Paxman employed for different international markets, according to local contexts and highly regulated environment. Judges were also won over by Tobias Cowan, aged 21, an engineering apprentice at HepcoMotion, a Tiverton based manufacturer of linear motion systems and automation components. The accolade came after he had battled his way through regional heats to make it through to the national finals. Tobias’ passion, hard work and attention to detail, along with his ambitions for a teaching role within the sector were the deciding factors for the judging panel. Joining Tobias on the podium was Heather Johnson, a business procurement apprentice at BAE Systems, who was crowned Business Apprentice of the Year. She was named the winner after impressing judges with her bold approach as she looked to integrate real-life experience and skills into the work place. Tobias Cowan, apprentice at HepcoMotion, added: “This is a massive honour – I can’t believe I’ve won. It’s such a wonderful way to crown what has been a fantastic year of my apprenticeship. Being an apprentice has given me the best start to my career, I’ve developed so much and winning this tops it all off. I’m absolutely thrilled to win”.